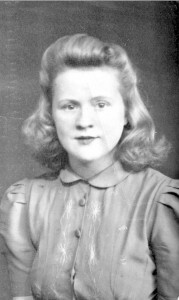 Margaret Walker Morrison or Peggy as she was affectionately known was my mum. She was the most beautiful lady and her nature was generous and loving. We all miss Peggy so much. The love she had for Joe was to last her whole lifetime and even through the hard up times and the times when she was very seriously ill, she always loved her Joe. They met during the war and married on 27th October 1945 on Joe’s return from the War. 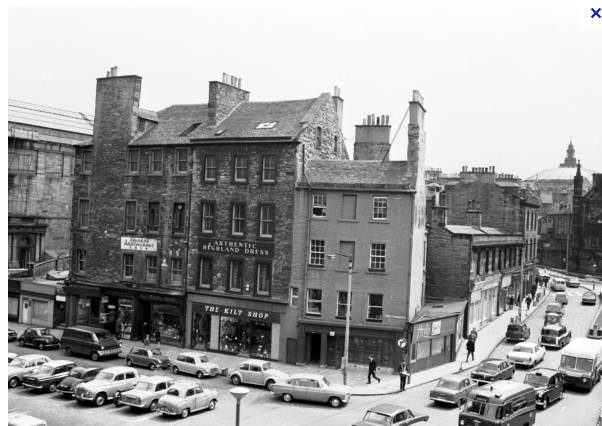 Mum worked as a Manageress in a tobacconist just opposite Greyfriars Bobby. Peggy was born in the Canongate in Chessell’s Court, where the Morrison family had lived for many years. The flats were damp and cramped and the family had next to nothing. Her dad Alex. Morrison was born in Blackfriars Street a block further up the hill. Life was hard then and large families lived as they could trying to make a living for their families. Many children had no shoes on their feet. Mum attended Canongate Primary School and was also a proud protestant. Although in later years she married twice, once in the Catholic Church because of Joe, until the day she died she was always true to her faith.